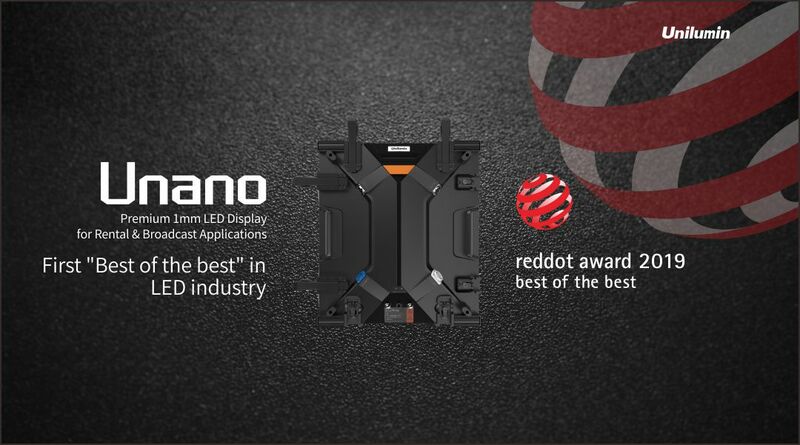 Unano - Unilumin's premium 1mm rental & fine pitch LED display - has just won the top design award "Red Dot Award 2019: best of the best". With its aesthetic and practical design, Unano’s superb visual effect, highly protective features, and convenience power the demanding video solutions in premium rental events and broadcast applications. Unano has enjoyed a high profile and reputation for being the lead in fine pitch rental market. It's currently the best-selling fine pitch rental product on the market and has been widely applied in advanced corporate events and exhibitions in Europe and North America. Red Dot Award is the world's largest and most respected design competition which recognizing products with a high degree of innovation and excellent design. Among the 5,500 entries, six percent of them have received a Red Dot Award, and only one percent of which won the "Best of the Best" Award. As the name says, "Best of the best" is "the highest award in the competition... reserved for the best products in a category". 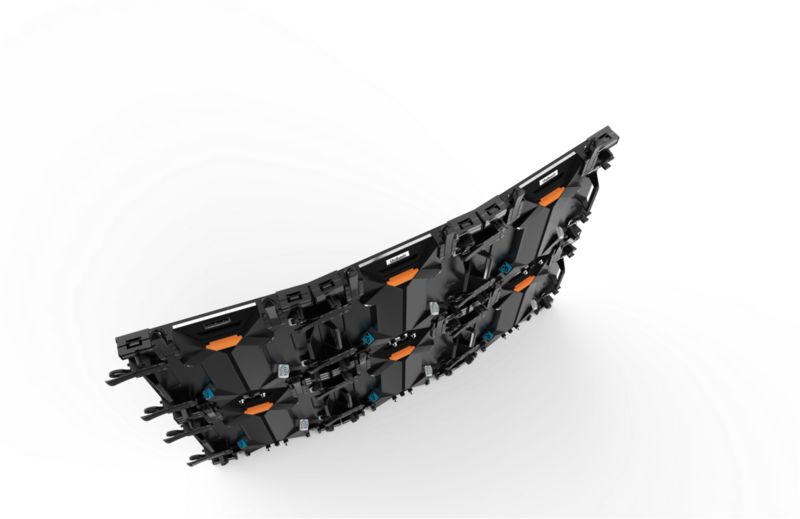 As the first and until now the only one "Best of the best" product in the LED display industry, Unilumin's Unano series is awarded for its groundbreaking design. 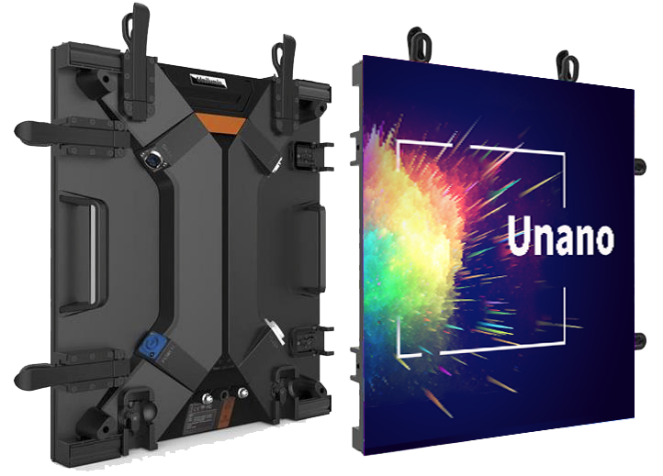 For the design concept, Unilumin delivered Unano's revolutionary concept of fine pitch LED display with rental features for high-level cases. Covering the pixel pitch of 1.3mm and 1.8mm, Unano series broke the minimum record in the rental industry and is able to show more details in the same size compared with others. As for the panel design, designers adopted the "X" element to form geometric beauty, providing a more holistic and smooth visual experience. Other design details, such as the broad holder and adjustable lock, bring out Unano's aesthetic and practical appearance. The Red Dot Gala will be held on July 8th 2019, at the Aalto Theater in Essen, Germany. Then, Unano will be displayed in one of the Red Dot Design Museums and the Red Dot Design Yearbook. Established in 2004, Unilumin Group Co. Ltd. is a leading LED application products and integrated solutions provider dedicated in LED product development, manufacturing, sales and after-sales service in domestic and abroad. With a corporate vision of “Together, for a brighter future”, Unilumin contributes itself in delivering high-quality, high-performance LED products and solutions to our clients in over 100 countries and regions worldwide. Red Dot stands for belonging to the best in design and business. The international design competition is aimed at all those who would like to distinguish their business activities through design. The distinction is based on the principle of selection and presentation. Excellent design is selected by competent expert juries in the areas of product design, communication design, and design concepts.